Mmmm, a delicious combination of truffle, lamb, eggplant and red onion. 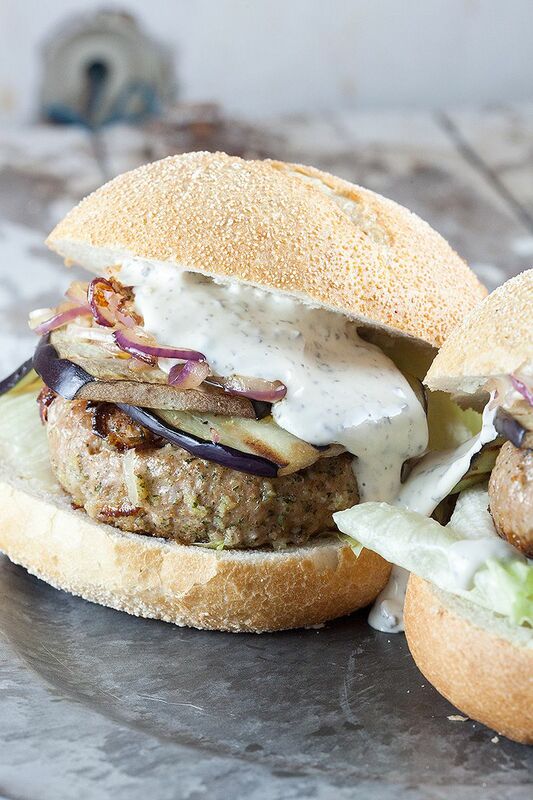 Lamb burger with truffle mayonnaise is ready in 15 minutes. For the truffle mayonnaise, easily combine cream, mayonnaise, squeeze of lemon juice and truffle tapenade. Season with pepper and salt, that’s it for the easy and delicious sauce. CUT the eggplant into long slices and set aside. PEEL the red onion and cut in thin slices. TEAR some lettuce leaves into chunks, rinse and then dry them. HEAT the grill pan until it’s very hot. 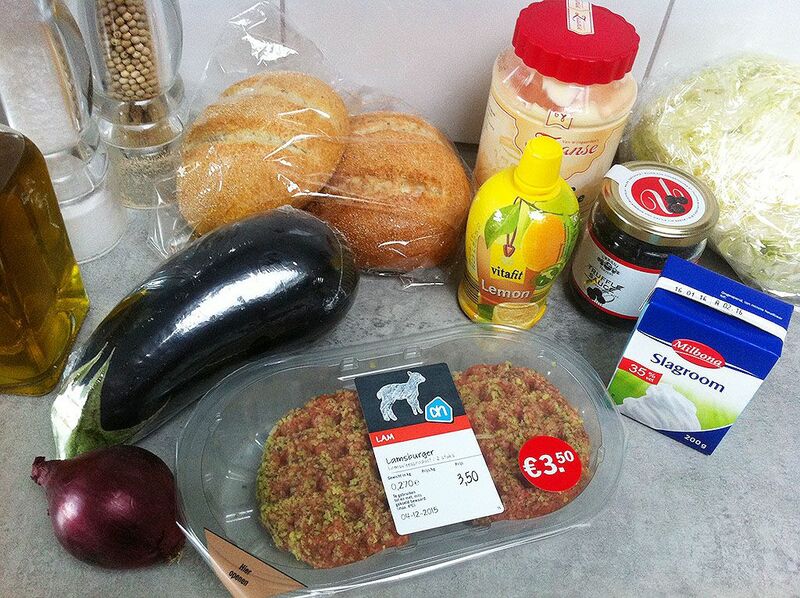 Coat the lamb burgers with a little bit of olive oil on both sides. When the grill pan is hot enough, grill the burgers on both sides for about 3 minutes. REMOVE the burgers from the pan and keep warm. Also coat the eggplant slices with olive oil and grill them for about 1 to 2 minutes on both sides, depending on the thickness of the slices. REMOVE the eggplant from the grill pan and season with pepper and salt. Add in the red onion slices and COOK the red onion slices for a few minutes, everything in the same pan. Meanwhile CUT the buns in halves and divide the lettuce leaves on the buns. 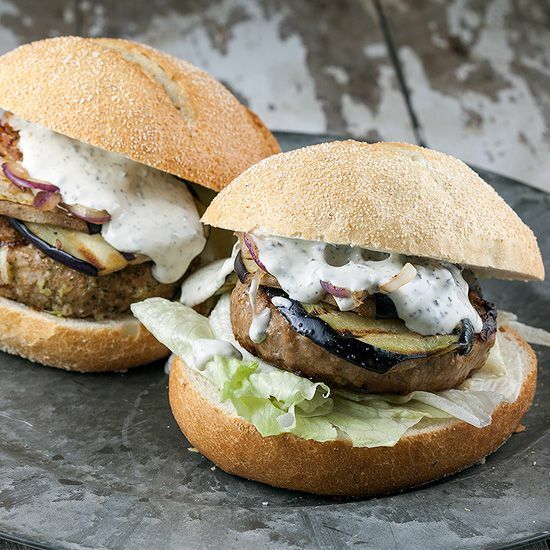 PLACE the lamb burger on top, then the grilled eggplant slices, cooked red onion slices, truffle mayonnaise and top it off with the other half of the burger bun. 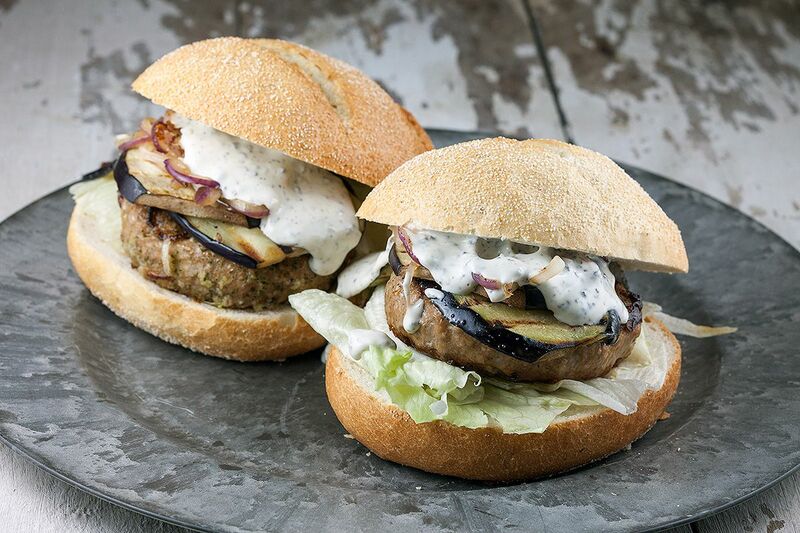 Enjoy this delicious combination of truffle, lamb, eggplant and red onion! Yum, this certainly looks like a perfect combination of tastes! Thanks for sharing.